❝ Donald Trump has been lambasted on the cover of New York Magazine in a photoshopped image depicting the US president as a pig. 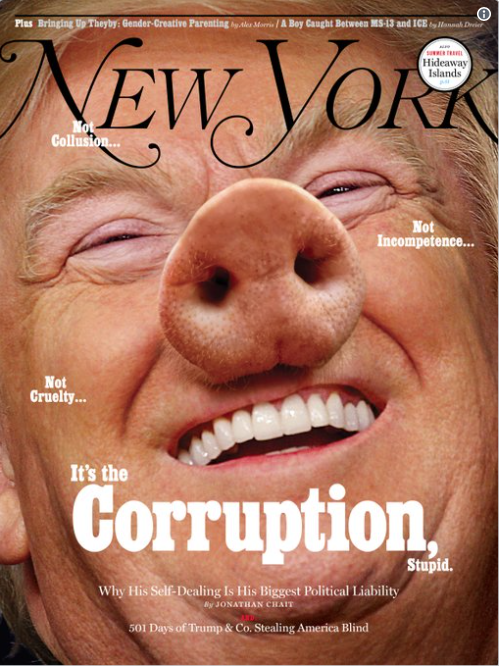 The explosive April 2 cover has replaced the president’s nose with a pig snout to highlight its cover story on corruption. Chait’s story attacks Trump for what it claims is “corruption” and “greed” in his presidency, including his staff he’s hired, to his decision to let his sons take over his business after he became the 45th President of the United States. 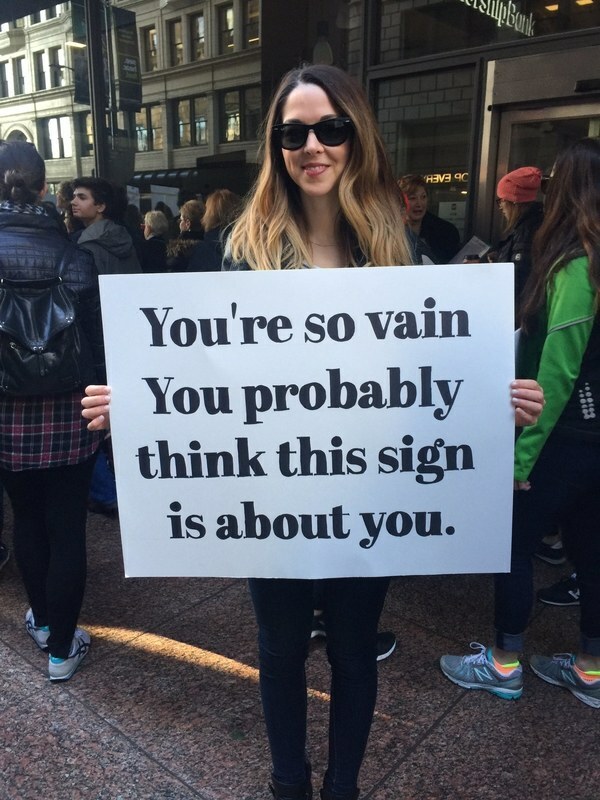 Our fake president excels at hyperbole – especially when [a] he doesn’t really know anything about the topic and [b] when the truth contradicts the incompetence that passes for politics in his dim bulb of a brain.